The meeting hall at 15 Washington St., Newark erupted with applause at the conclusion of former Paterson, NJ student John Anthony Arroyo’s brief and emotional summary of his educational history. Arroyo spoke just prior to Gov. Phil Murphy’s and NJ Secretary of Higher Education Zakiya Smith Ellis’s unveiling of New Jersey’s new State Higher Education Plan. Arroyo describes himself as a gifted and talented student who consistently made the honor roll until he reached the sixth grade. He tells the story of a student, whom he later revealed as himself, that almost gave up. The story is a familiar one to many educators across New Jersey who often observe changes in students who are experiencing challenges. They worry about their students’ futures after high school. 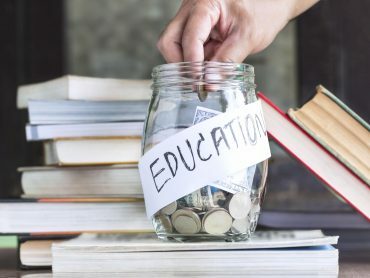 College is expensive for many families, and application procedures can be confusing. Arroyo credits his counselor with encouraging him to make the life changing decision to apply for college, and the New Jersey Equal Opportunity Fund for making it possible. He is currently enrolled at Rutgers University with a major in accounting and finance. The event to roll out the new plan was held at the Rutgers campus in Newark. 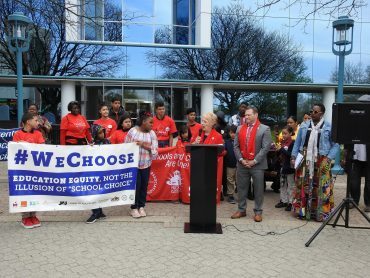 NJEA higher education members and staff, NJEA Vice President Sean M. Spiller, NJEA Secretary-Treasurer Steve Beatty and many state officials and legislators were in attendance. The plan promises to make the state’s higher education system more accessible, affordable, and easier to navigate. New Jersey is currently ranked as the fourth most expensive state to get a four-year degree. 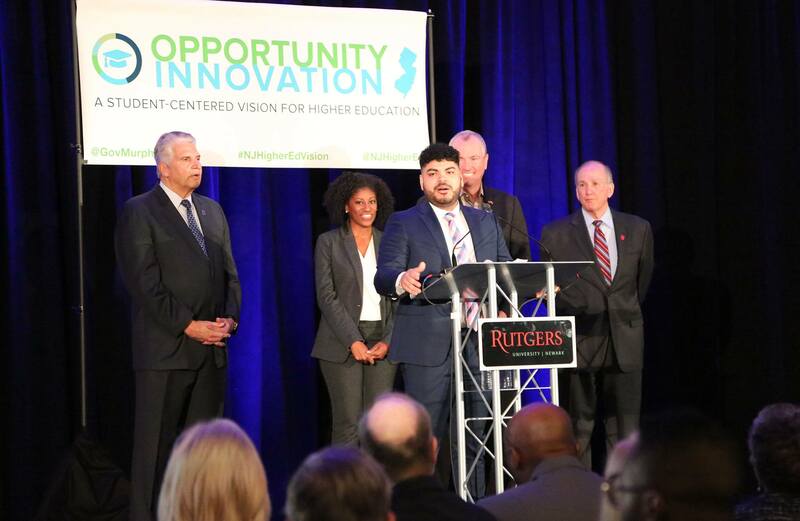 The plan titled, “Where Opportunity Meets Innovation: A Student-Centered Vision for New Jersey Higher Education,” includes a vision statement, a student bill of rights, and a map for implementation. Gov. 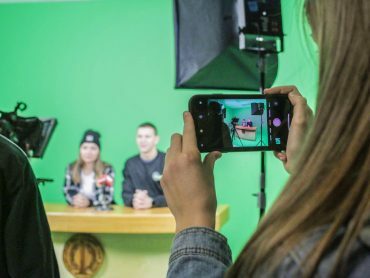 Murphy stated that the goal of the initiative is to unite New Jersey’s 78 higher education institutions and boost the state’s school-to-workforce pipeline.